The time has come for the posturing and speculating to stop and the racing to start. When we saw the Team BMW cars at the Donington media day I thought that the team were holding back a bit and trying to keep their powder dry. 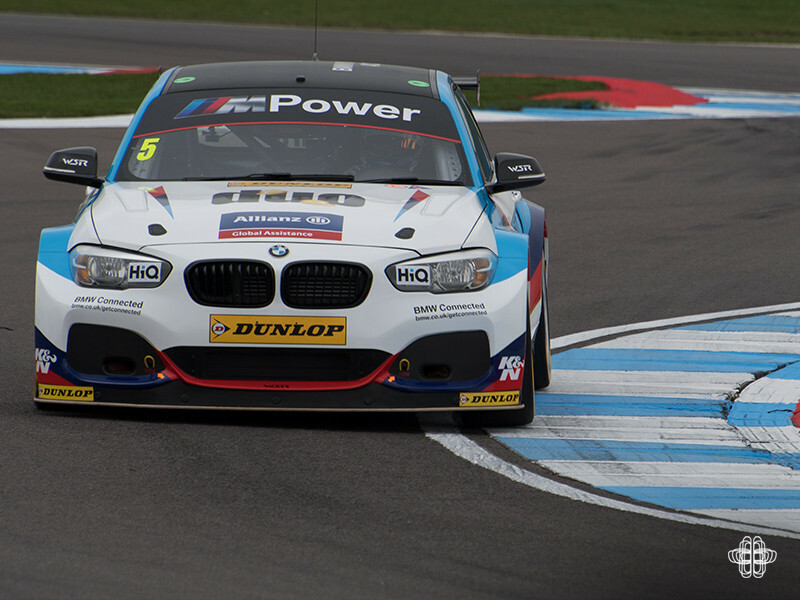 I was on the edge of my seat come race day to see what we could expect from the return of BMW to the BTCC. A heavy rain downpour and a couple of red flags had stopped the session and hampered everyone’s qualifying. The consequence of this meant that the grid for the first race was jumbled and a lot of teams were significantly out of position. 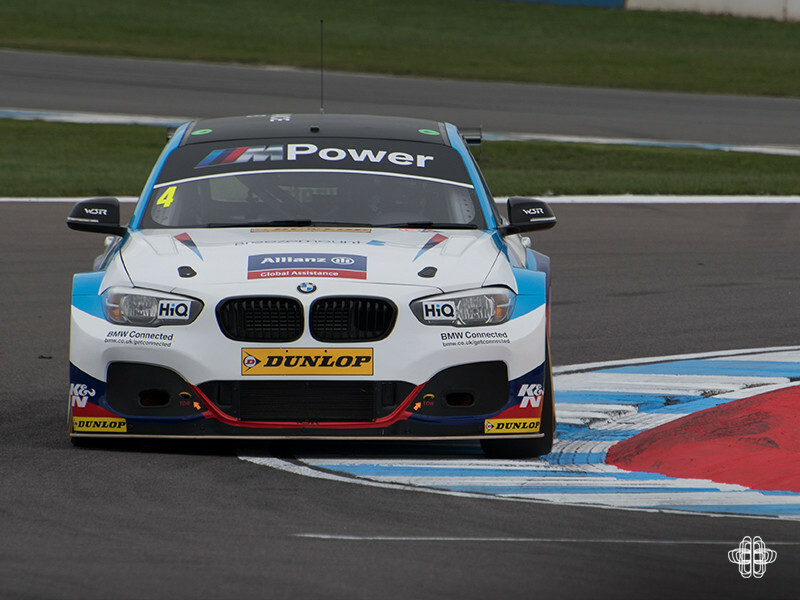 Colin Turkington had secured 5th, Andrew Jordan was in 11th, and Rob Collard was down in 15th. The team were hoping their drivers’ race craft was going to get them moving at speed through the field. The drivers were happy with the performance of the car but circumstances meant its true performance couldn’t be exploited during qualifying. As the sun rose over Kent on Sunday morning, the weather couldn’t have been more perfect for racing. The cars lined up on the grid and the weight of expectation was palpable. The lights went out and the cars made their way towards the infamous Paddock Hill Bend. Or that was the plan at least. The RWD cars seemed to start extremely well. Colin went to make a move on Matt Neal in the Halfords Honda Civic just as Matt moved right. The cars collided heavily putting both cars out of the race with significant suspension damage. Colin had only been in the race for about 2 seconds before it was over. I think it’s safe to say this was not the result that we’d all want for the return of BMW. Consequently there were no points for Colin and he’d have to start the second race of the day from the back of the grid. The remaining Team BMW cars put in a solid performance, finishing in 6th for Andrew while Rob managed to battle his way through the field to 7th. For race 2 the cars had a mountain to climb, none more so that Colin who started the race at the very back 32nd on the grid. Rob (7th) and Andrew (6th) had very strong drivers in front of them. Rob, dubbed ‘the overtaking king,’ certainly lived up to his name managing to finish the race in 2nd, giving Team BMW their first podium of this new era. It really had been a supreme drive from Rob. Andrew had also been driving extremely well, virtually following Rob as he progressed through the field. However, on the penultimate lap Andrew was hit by Tom Ingram in his Toyota Avensis which put Andrew into a slide that would have been applauded at any Formula Drift event. Sadly this wasn’t drifting and he fell down to 6th. Tom Ingram was later penalised for overtaking under yellow flags and started the 3rd race from the back of the pack. Colin’s impressive recovery drive is worth mentioning, as he finished in 9th having overtaken 23 other cars. He also came away with the fastest overall lap. As the cars lined up for the final race of the day, Andrew had one clear result in mind. He started the race from 3rd and was going for a win. The BMW’s had been starting the races strongly so it was perfectly plausible that he could come out of Paddock Hill Bend in the lead. All weekend he had been playing down his chances, saying that he was still learning RWD and the car he anticipated being competitive at the next meeting. But he had driven extremely well all weekend and had been unlucky with his results. I was certainly cheering him on, hopeful he could get a podium finish. Rob started in 7th and Colin in 9th. The cars all started well, and as anticipated Andrew led the race from very early on, putting an excellent move on Tom Chilton in his Vauxhall Astra. Due to Rob’s second place in race 2 he was carrying a lot of ballast in the car. He moved aside and let Colin overtake. This set up an awesome end to the weekend. 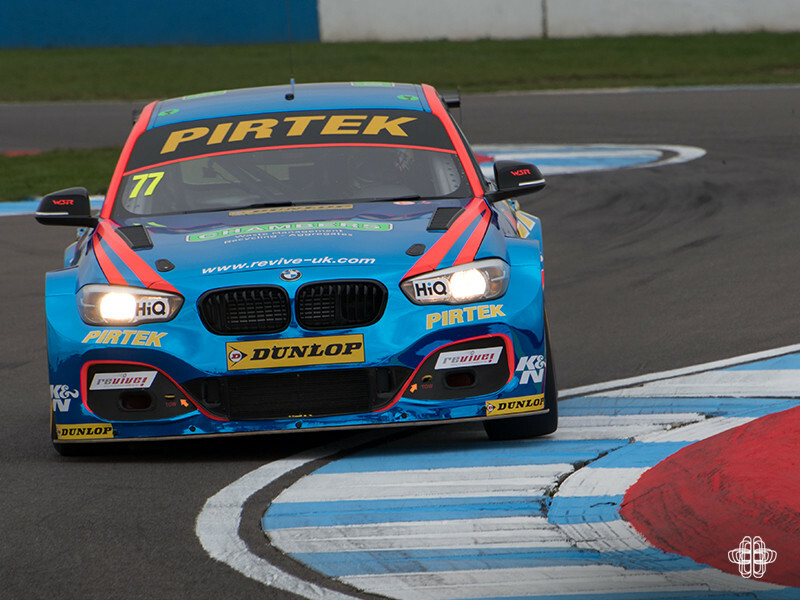 Colin clearly wanted to put a positive end to his weekend and he was soon on the bumper of the Blue Pirtek Racing Team BMW car of Andrew. As the laps clicked down Colin couldn’t find a way past him. In spite of a few affectionate taps from Colin, Andrew managed to keep hold of the lead and closed out the weekend with a Team BMW 1-2. Colin got the consolation prize of another fastest lap crown. This put BMW firmly at the top of the manufacturers championship with Honda 9 points behind. It has been a weekend of mixed fortunes for the team, but they have shown us their resilience and the grit of their drivers. It’s far too soon in the season to call any kind of final result, but we can all bask knowing that BMW are back and they mean business. The next round of the championship comes from Donington on the 15th-16th April. Tickets are available here. Here’s hoping BMW continue their early success.